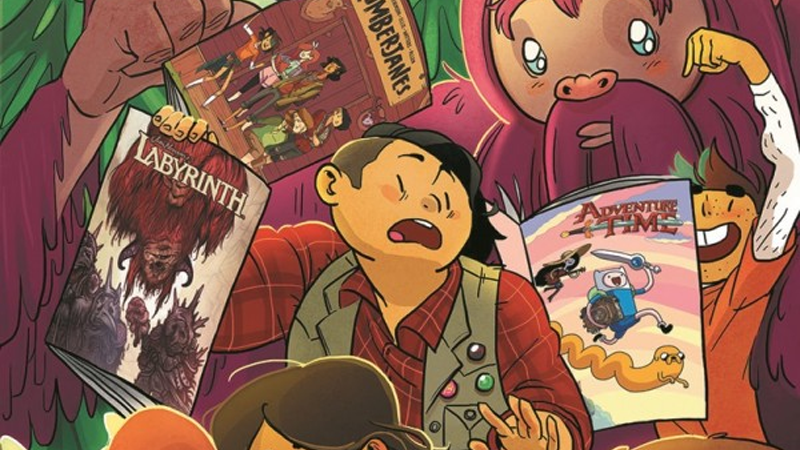 Samplers and anthology specials have become a staple of Free Comic Book Day’s bountiful offerings, but that might change next year. According to materials acquired by Bleeding Cool, the organization behind the event is now suggesting that publishers shy away from offering anthologies beginning in 2017. The FCBD Committee recommends proposed comics have no more than one story with one back up, instead of anthology stories. You are still free to submit the type of content you’d like; this is just what the committee recommends as they consider all applicants and their books. Why the language still notes that this is not a hard ruling, it has a major impact on the traditional offerings of some big publishers: Boom! Studios, Dark Horse, 2000AD, Aspen, and many other comics publishers choose to offer collections of stories, and in the case of a publisher like Boom specifically, a collection of samples and previews from its ongoing series interspersed with new short comics created specifically for the collection. Despite the fact that these sorts of books have become a staple, this new ruling means that they might no longer be considered for a place in the Free Comic Book Day lineup. While the aim to offer accessible, new content to audiences through Free Comic Book Day instead of a catalog of previews for readers is a good goal, you can see why they were so popular for the event—Free Comic Book Day draws in tons of new readers, and offering them a look at your current swathe of series for free in the hopes they’ll like them enough to subscribe is a tempting deal. But at the same time, a ruling on anthologies in general seems like a step too far—especially when there are great offerings of original content in the anthology format every year for FCBD, like this year’s Firefly/Aliens/Hellboy issue from Dark Horse, or Z2's Comics Lab and 2000AD’s traditional anthology. If there’s a complete move away from anthologies, I don’t know about it. I do know that retailers have stated a preference that FCBD editions feature complete stories rather than marketing samples. If a regularly published title is an anthology, then it makes sense that its FCBD edition follows suit. We’re still several weeks away from the FCBD retailer committee even receiving publisher applications, so that makes it a bit premature to guess what content will be proposed in the publisher applications for FCBD 2017. Cutting down on a collection of previews is one thing, but losing out on new content in the anthology format would be a shame. Presumably we’ll find out if this has any impact on next year’s offerings when the 2017 lineup for Free Comic Book Day is announced later this year.